This park is self-serve. For more information, please call 541 440-4394. 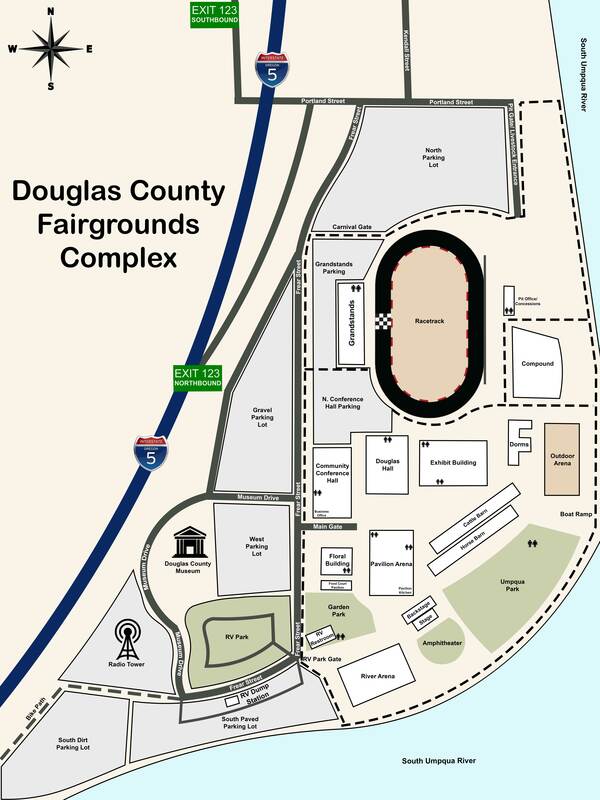 Douglas County Fairgrounds RV Park is open year-round (excluding Fair Week in August). Spaces are always available with overflow camping spaces if needed. First Come First Served (no reservations).